Winter Session Is Almost Over – Spring 1 Is Right Around The Corner! February 17, 2014. Hello Everyone. Splash has decided to CLOSE for the rest of the afternoon and evening. Monday Feb. 17, 2014. The weather is just too dangerous, and we want everyone to stay safe from the snow storm. Thank you for your understanding, and we will see you soon! Stay safe! Kids Say The Darndest Things At Splash! Happy Valentines Day To Our Splash Family! All 2014 Splash Session (and Camp) Dates Are Available! February 11, 2014. 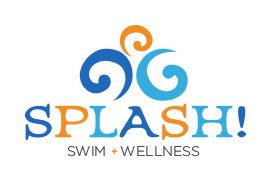 Splash’s Swim Sessions & Camps For 2014 Are Up! We Hope This Helps You In Planning Out Your 2014 Activities. We Would Love For Your Family To Take Part Of Our Sessions And/Or Camps, So We Wanted To Make These Dates Official and Available To Our Splash! Family As Soon As Possible. February 9, 2014. Please take a moment to view our updated swim levels. We review and refine our swim levels here at SPLASH! so we can best fit your child’s needs, experience and current skill level. Video Of Ms. Shelby And Her 2 Sets Of Twins Practicing GLIDING During Their Lesson! February 5, 2014. Here is a video of Ms. Shelby and her 2 sets of twins during their swim lesson! Have You Considered Throwing a SPLASH BASH Birthday Party For Your Child?